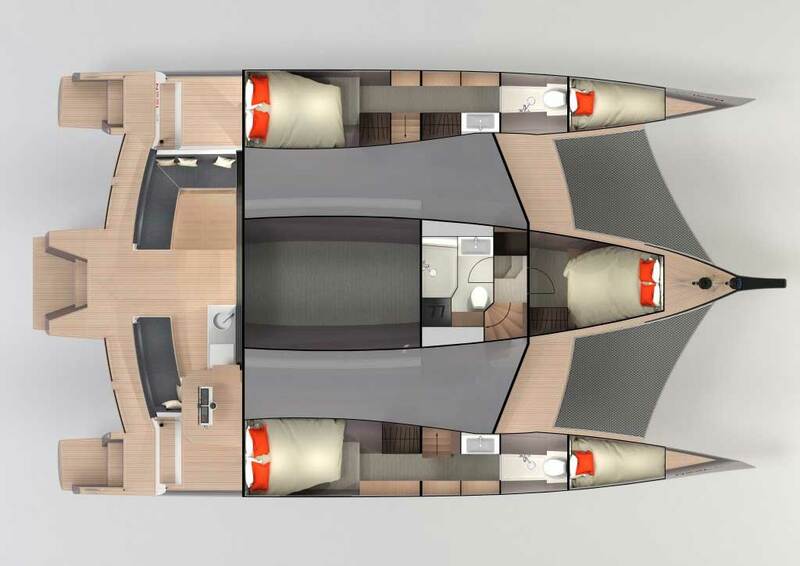 known for the NEEL trimarans, the NEEL 51 has been given several additional design features: four double cabins including one owner suite and four bathrooms. 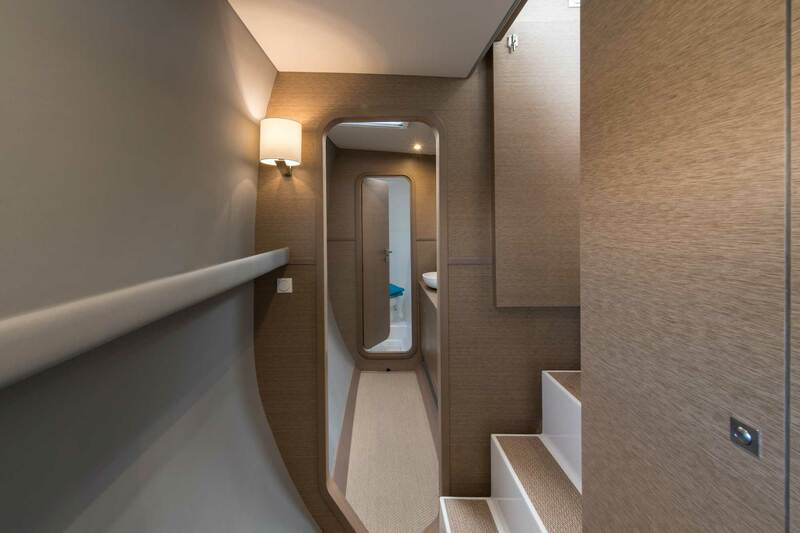 The floats are easily accessible from the inside, while the cockpit and the salon, the so-called “Cockloon”, form a large space on one level. 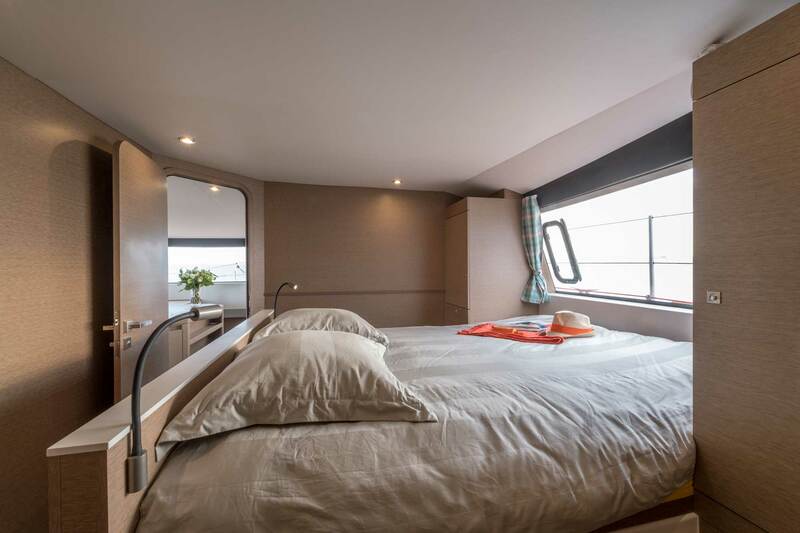 The living area benefits from the transparency between the exterior and interior and the brightness through the large panoramic windows. 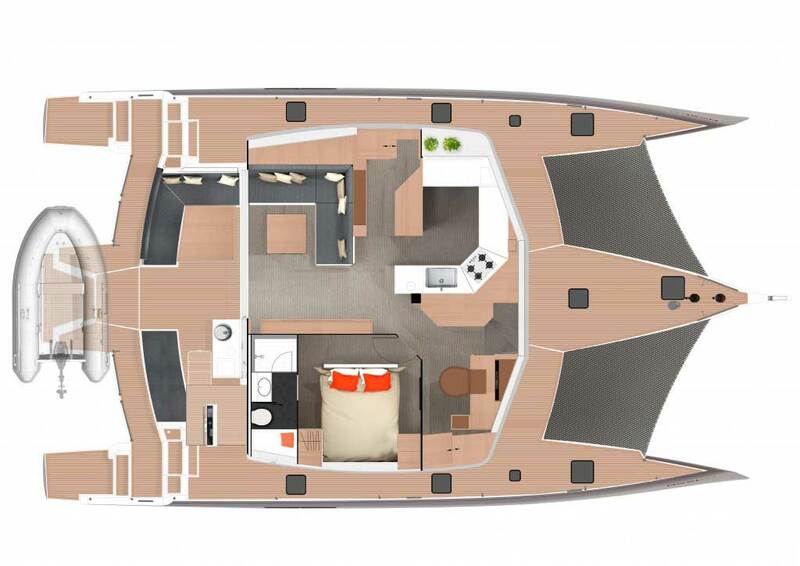 Also has a convenient flybridge for sunbathing and lounging. 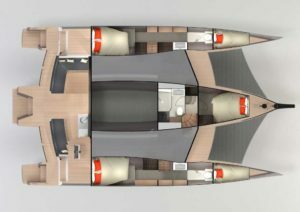 The sliding doors connect the saloon with the cockpit and can be fully opened. 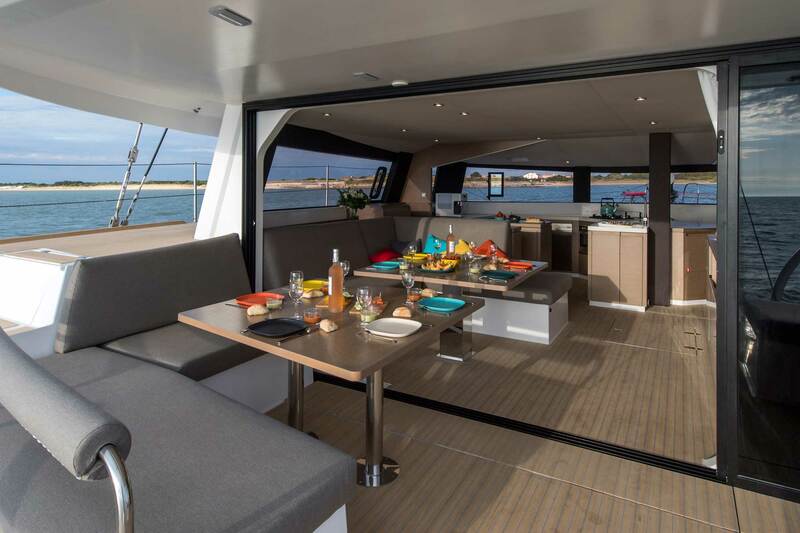 The spacious dining area can accommodate up to 12 guests. 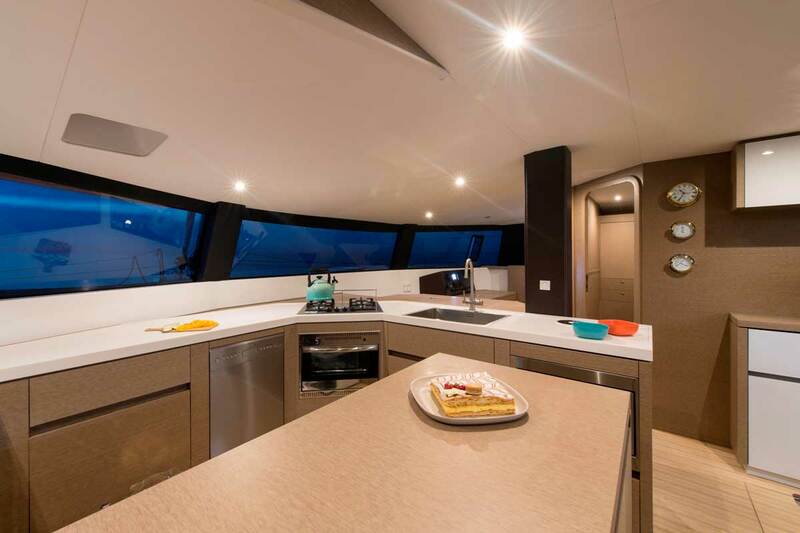 The 16 m2 cockpit offers plenty of space with a grill, sink and fridge. 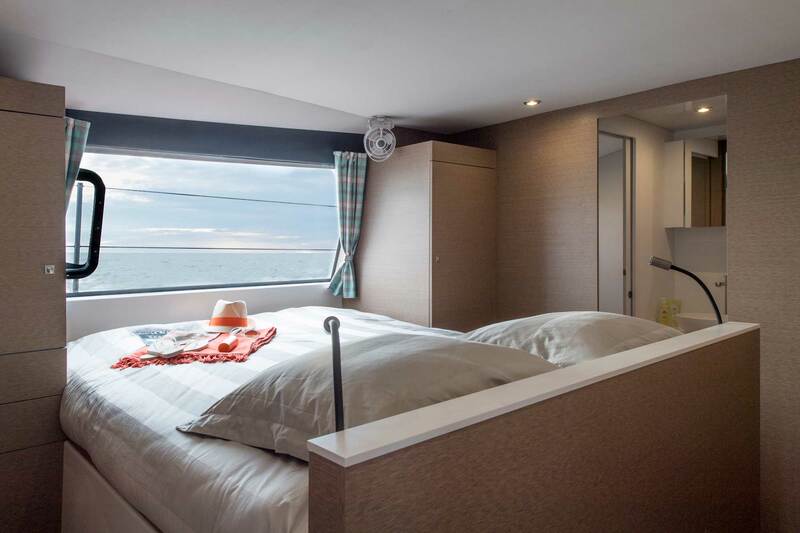 The 10 m2 owner suite on the main deck offers fantastic panoramic views of the horizon right out of the bed. 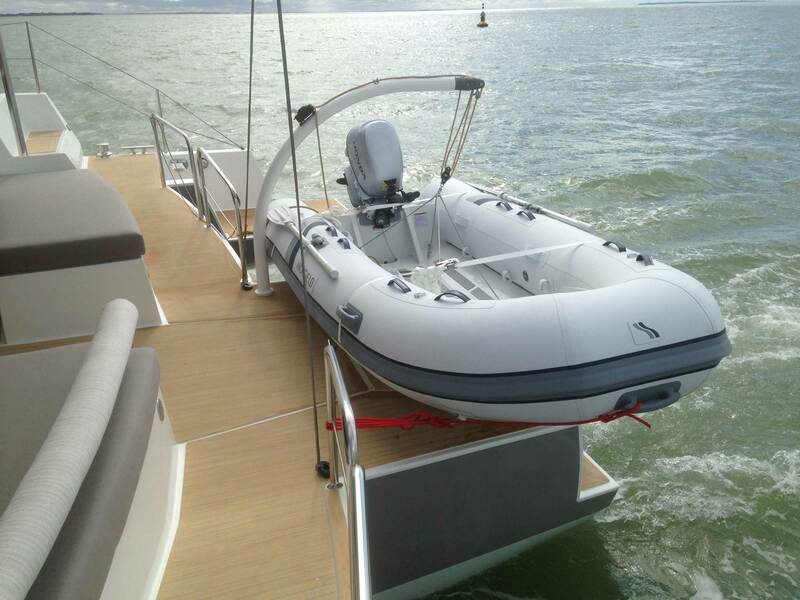 has central control from a sheltered helm that provides excellent visibility. 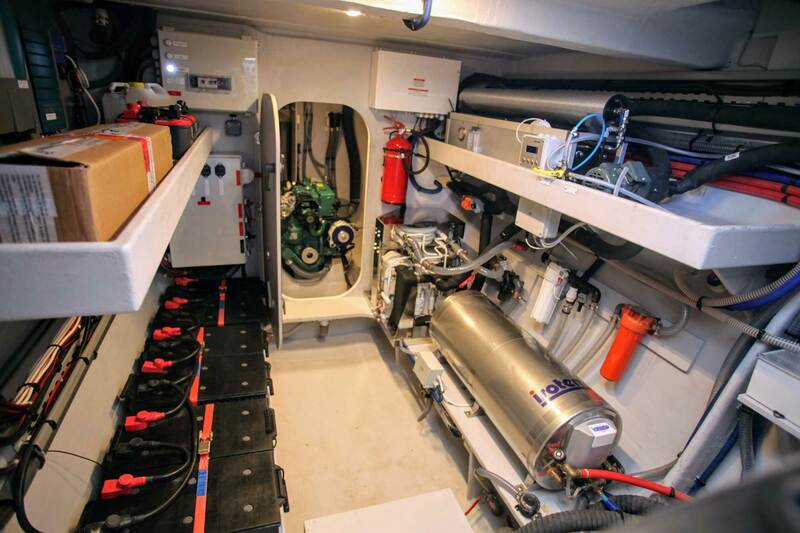 The trimaran offers a wealth of space for technical equipment. 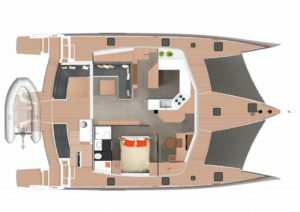 Integrated solar panels ensure environmentally friendly operation and the innovative rear end makes getting in easy and safe. 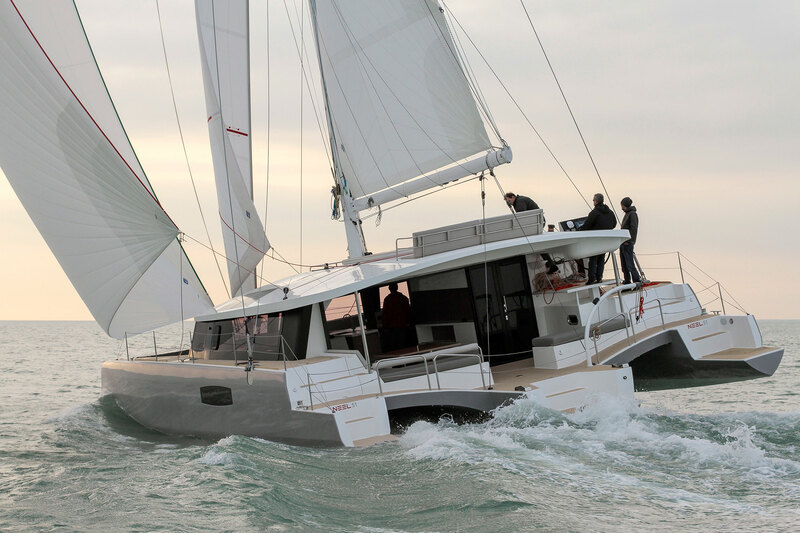 The first production models were launched in February 2017 and the world premiere was celebrated in April 2017 at the La Grand Motte Boatshow. 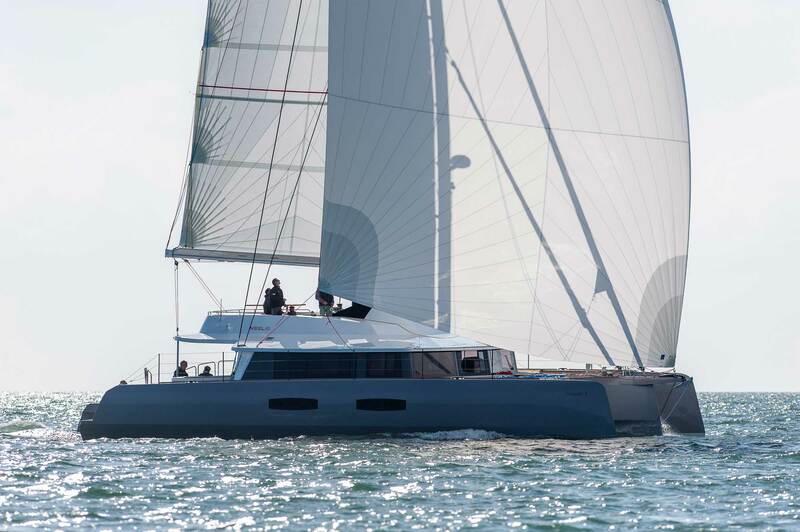 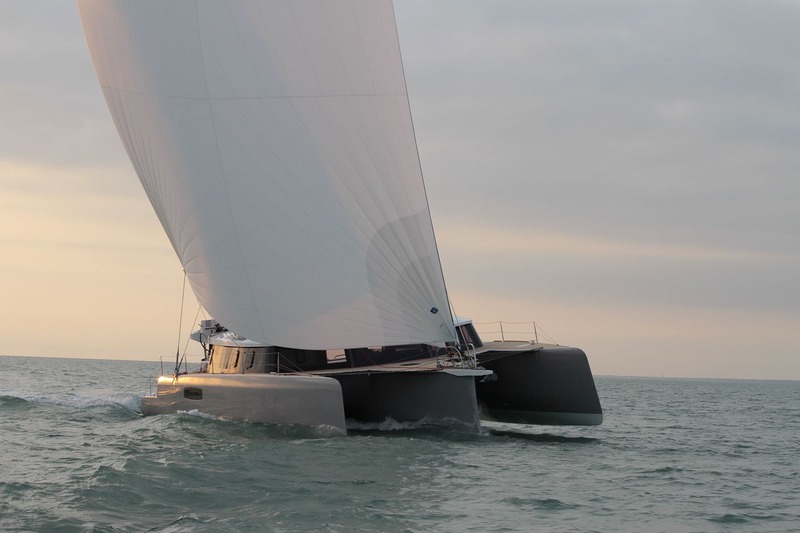 The overall concept was convincing on many sides and was voted Europe’s Yacht of the Year and the Multihull of the Year in 2018, as well as the Boat of the Year 2019 in the USA! 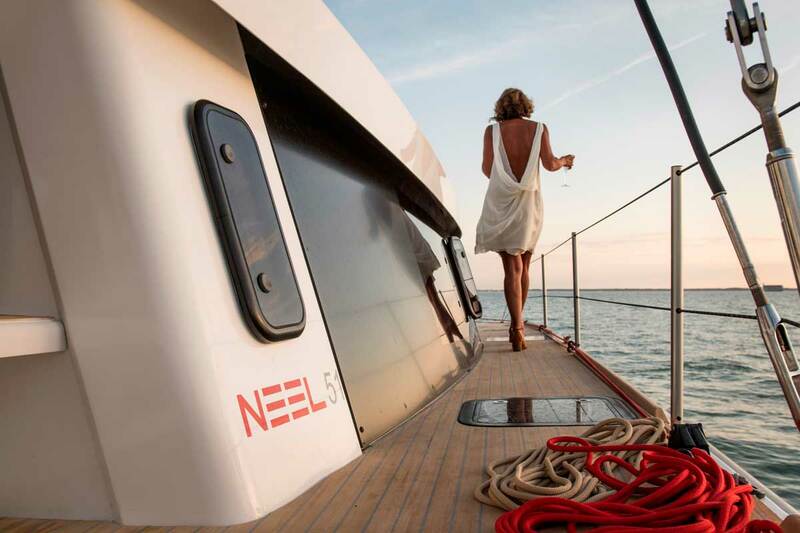 The NEEL 51 Racing Line version offers slightly less bunk capacity with three double cabins and three baths. 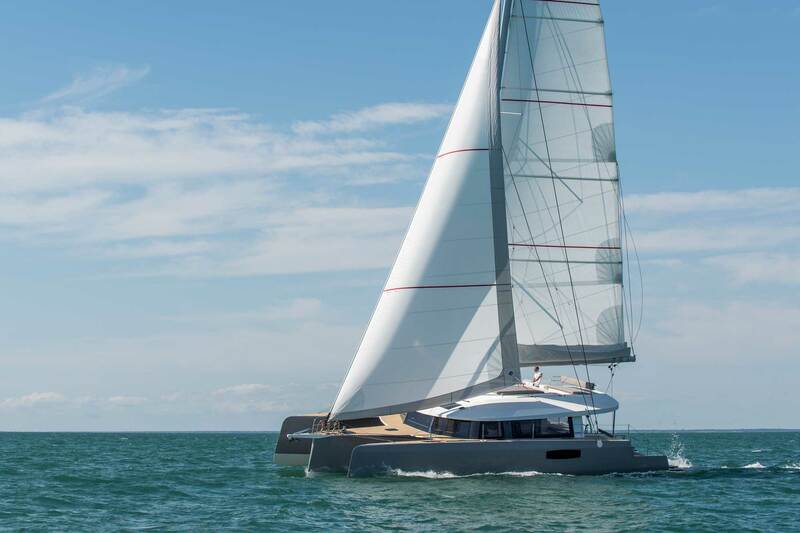 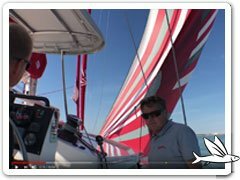 Weight savings are achieved through high-tech materials including a longer carbon mast, Dyneema / Spektra rigging, Hydranet sails, foam-cored furniture and much more. 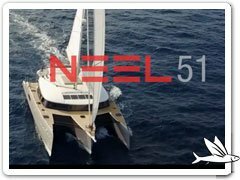 Do you have questions or would like more information about NEEL 51?